The main message is that the NHS in Scotland is not in a financially sustainable position. 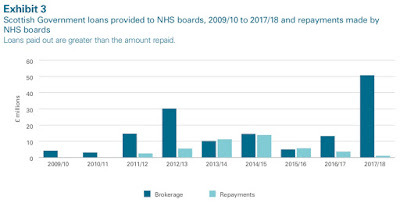 NHS boards are struggling to break even, relying increasingly on Scottish Government loans and one-off savings. The report was prepared before the Health Secretary accepted this reality and announced that these loans were to be written off. The report also highlights declining performance. 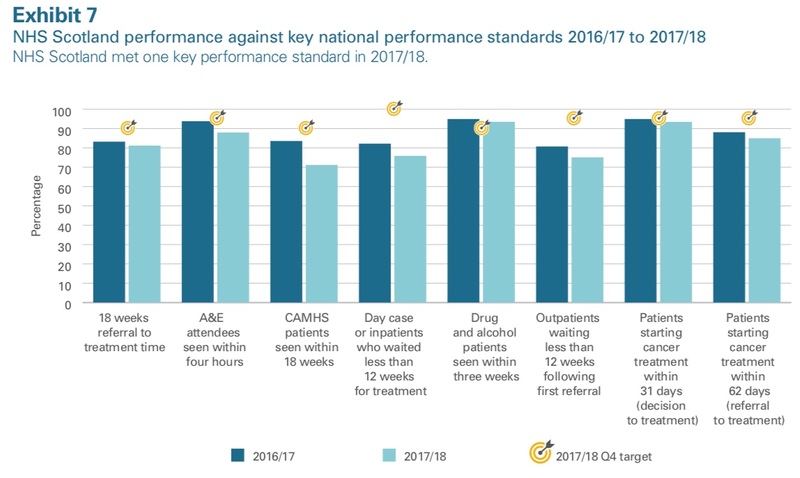 The NHS met only one of eight key national performance targets in 2017/18, and performance actually declined against all eight. No board met all eight targets. NHS Lothian did not meet any targets. NHS Grampian, Greater Glasgow and Clyde, Highland, and Tayside each met one target. We should not forget the underlying causes of many of the pressures on the NHS – health inequalities. We had another warning on this today in the EHRC report ‘Is Scotland Fairer?’. 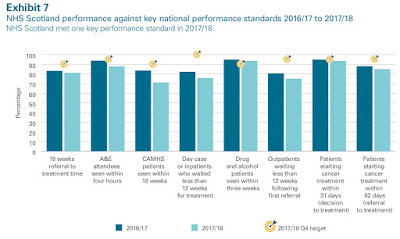 Sadly, this probably won’t get as much consideration as the Audit Scotland report, but it is crucial to understanding the pressures on our NHS. The report highlighted differences in educational attainment, health, work opportunities and living standards among social groups and concluded that progress has stagnated. Poor mental health affects half of all employees, but only half of those who experience problems talk to their employer about it. I have been working with an employer on improving their approach to tackling mental health in the workplace. Their sickness absence statistics highlighted a growing problem and a management consultant produced a plan. The safe response from many Chief Executive's would be to tick the box and report the action taken to the board. Credit to this organisation that they didn't do that. The CEO wasn't convinced that the actions proposed would tackle the scale of the problem and asked me to review the plan. The hard-nosed case for taking real action is economic, with mental ill health-related absences costing at least £26 billion per year. However, the human cost is even greater for the sufferer and their families, with the ultimate human cost being loss of life through suicide. In some ways, the increase in reported mental health absence is a positive sign that the stigma is reducing. A British Chambers of Commerce survey showed a 30% increase in the last three years and a 33% increase in the length of absences. Even in NHS Scotland, between 2015/16 and 2017/18, the number of stress-led staff absences has rocketed by 17.6% - the equivalent of more than one million working days lost. However, another survey undertaken by BHSF indicated that 42% of UK employees who have called in sick and claimed they were physically unwell were actually covering up a mental health issue. Another estimate by the ‘Time to Change Employer Pledge’ says, 95% of employees calling in sick with stress gave a different reason. It’s not just absence either. Surveys show that poor mental health affects performance in the workplace including concentration, decision making, avoiding certain tasks and conflict with colleagues and customers. Given the moral and economic case for acting, what should employers and unions do? The plan I reviewed had a number of worthy elements. There was some awareness training for managers, but not for front-line staff. They also planned to deliver mindfulness events and relaxation sessions. The fundamental problem was that the plan largely ignored work as a factor in poor mental health. The focus was on individual behaviour and health, rather than looking at the impact the employer was having on mental health. In other words, it was a reactive rather than a preventative approach to mental health at work. Most poor mental health is the result of a combination of problems at work and personal life, with work alone causing problems for a quarter of staff. While most staff recognise they have to address their mental health problems, they need a supportive work environment with well-trained line managers and an organisational response. The positive news is that the issue is getting much greater attention and there are a range of resources to help employers. The ‘Time to Change Employer Pledge’ encourages a health check and sharing best practice across a growing number of employers - although some argue this doesn't go far enough. The CIPD has a number of useful guides as well as survey data. They broaden the issue to address ‘well-being’ at work. The mental health charity Mind has a range of resources and can help with training. Trade unions, including UNISON and Unite, run awareness or mental health first-aid courses for their stewards. UNISON also has a useful bargaining guide. 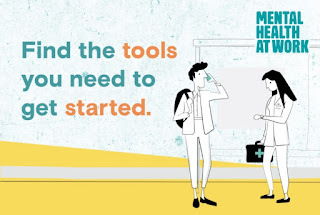 The employer I have been working with now has a comprehensive mental health at work plan, which starts with clear objectives that form part of the organisation’s strategy, not simply an HR add-on. It shows how they will identify the well-being of staff and the causes of poor mental health in the workplace. Then the measures they are taking to tackle the work-related causes and the support available inside and outside the organisation. Finally, how the plan will be evaluated. 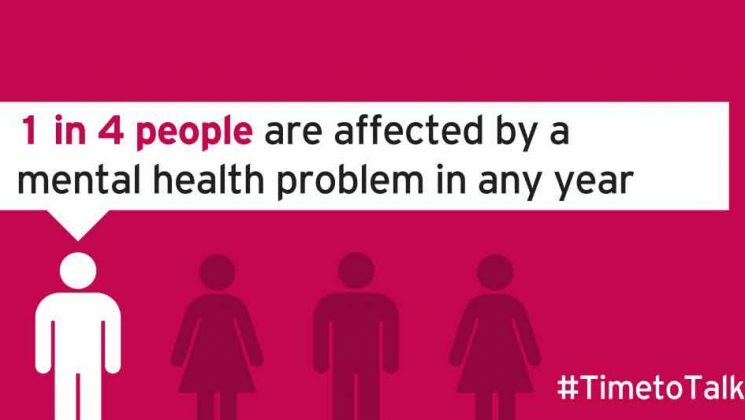 We should also not forget the wider policy imperative to address poor mental health. 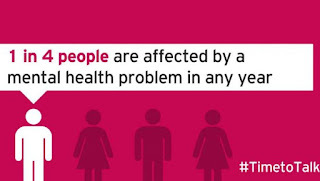 As TUC research points out, while employment rates of disabled people with mental health problems have increased, they are still at very low levels. The economy cannot afford to miss out on the skills and talents of these people. Taking serious action to tackle mental health issues in the workplace requires more than a few cosmetic initiatives. The good news is that more employers and trade unions recognise the problem and are prepared to take meaningful action to effect change. Boundary change in local government is usually shunted into the 'too difficult' box, for good reasons. Local identity can get everyone excited. I painfully recall spending three days at Boundary Commission hearings while local historians made submissions on why the boundary was wrong and the proposed name even worse! In the current financial environment, boundary changes also invite a 'deckchairs on the Titanic' response. 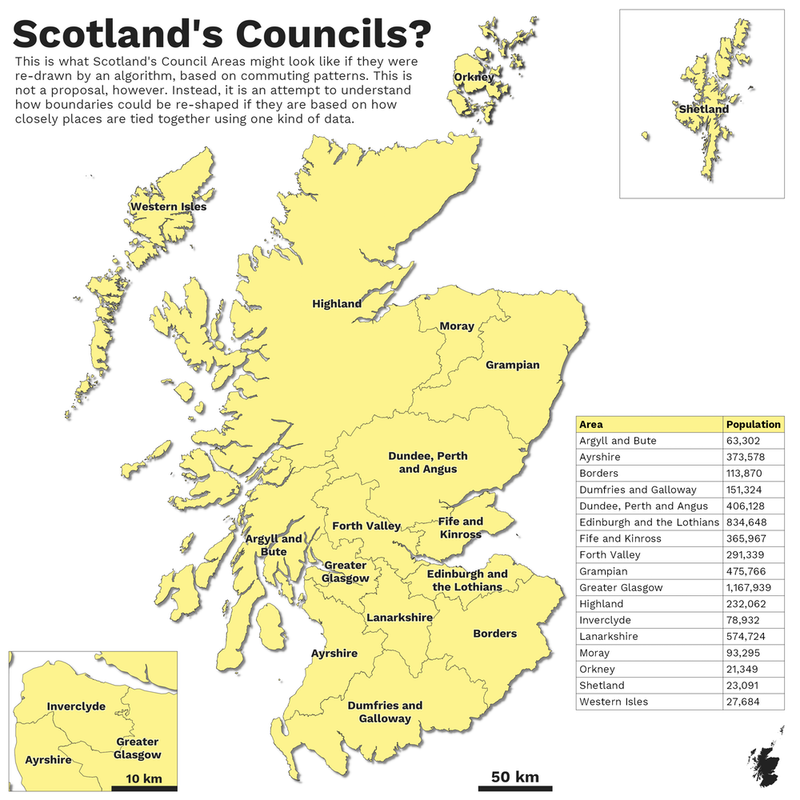 The Scottish Government's current Local Governance Review is therefore understandably cautious. The first stage is looking at the less controversial issues of engagement, which will no doubt highlight the ways councils could do this better. The second stage is supposed to look at structures and powers, albeit in a voluntary encouragement manner, with the backstop of legislation in 2020. There has been some interest in doing things differently. For example, Borders Council has suggested a merger with the health board, even if the council appears keener than the health board. They are at least largely coterminous, but placing acute services within the council has its challenges. Some years ago the island councils looked favorably on the idea of all-purpose authorities, but the idea was quietly dropped and never made it into the recent legislation. The Royal College of GPs has suggested shifting social care in the other direction, into health boards. The Scottish Government is keen on the idea of regions, using Ayrshire has an example of a voluntary merger. While the three councils in my home county have undertaken some limited shared services, there are few signs that they want to go the whole hog. The government is rightly sensitive to the charge that they are centralising services, with regional education collaboratives just one recent example of this. While health board reorganisation has been parked for now, the language is increasingly about regional plans. COSLA, on the other hand, has consistently made the case for devolution to go further than Holyrood. Where politicians fear to tread, academics can sometimes charge in. A recent example of this comes from two academics at the University of Sheffield. They argue that rationalising the number of councils is happening elsewhere in Europe, driven by economies of scale. The problem with this argument is that Scotland already has the most centralised local government in Europe. They have redrawn the boundaries based on travel to work areas, calculated by using an algorithm - after all, it works for Amazon! 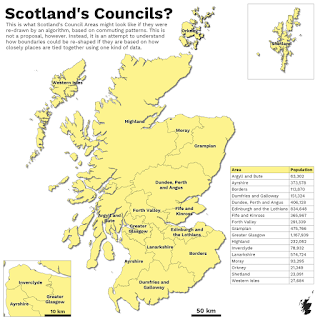 This gives us 17 councils rather than the current 32. This is all very entertaining, but as with any computer model, it depends on the assumptions. In particular, why are travel to work areas a sound basis for organising local services? I live in Troon and work in Glasgow. I cannot think of a single person in my town who thinks local services should be run from Glasgow. Co-operating on some strategic services like the railways perhaps, but libraries, bins etc. - I think not. I accept that there may be a stronger argument in relation to the leafy suburbs of our cities - but even I am not that brave! The Labour MP for Wigan, Lisa Nandy, has made a strong case for towns to be the building block for local government. She is the founder of the Centre for Towns and sets out why the city region concept doesn't work for her community. She also makes some important links with austerity and disenchantment with the political process. "Bypassing an imposed mayor and instead boosting the power and responsibility of local councils seems more sensible. There is no logical argument to say your local council is a “distant elite” when it meets at the local town hall." I have considerable sympathy for these views, which also apply to Scotland. 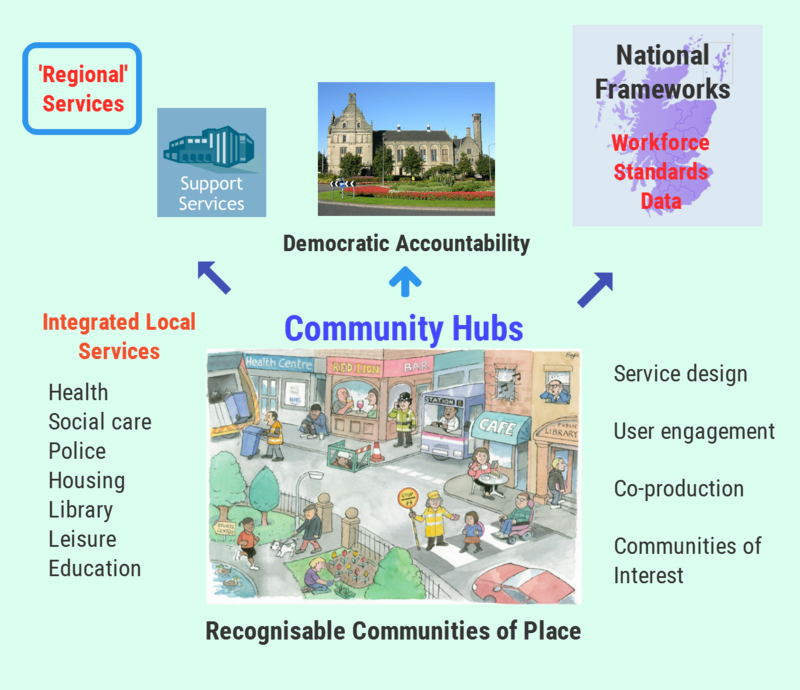 In my paper for the Reid Foundation on public service reform, I outline the concept of community hubs, built around real communities, not the largely artificial council boundaries we have today. None of this actually requires boundary changes, but it does require politicians to understand that Scotland is not our local. We may be a small country, but we have at least 100 diverse communities. That is where power needs to be devolved to, always allowing for cooperation on some strategic services. 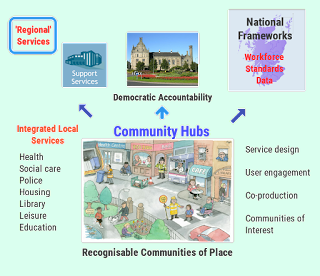 The way forward is to deliver services at the lowest practical level, in a way that best meets the needs of communities. There is broad cross party support for Carbon Capture and Storage (CCS) as an important component of our climate change strategy. The problem is turning policy support into action, in our so called energy market. I was in London today, participating in an interesting discussion on these issues. I have spent some time, with others, over the years trying to persuade a string of energy ministers and energy companies to adopt CCS, with little success. CCS is the process of capturing and storing carbon dioxide (CO2), typically caused by burning fossil fuels in power generation and heavy industries, before it is released into the atmosphere. It can be used post-combustion by capturing the gases, or pre-combustion, which involves converting the fuel into a mixture of hydrogen and CO2. It generally captures around 90% of emissions. Once the CO2 has been captured, it is compressed into a liquid and then pumped underground to be stored into depleted oil and gas reservoirs or coalbeds. Something we have plenty of in Scotland and the North Sea. 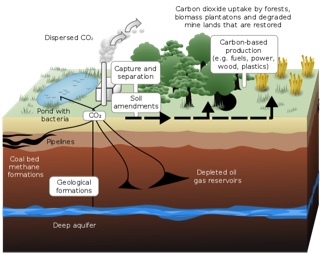 The CO2 can be used to produce commercially marketable products, known as carbon capture storage and utilisation (CCSU). Some are reasonably well established like enhanced oil recovery (EOR). Others are still being researched. CCS is the only technology that can help reduce emissions from heavy industries - essential for tackling climate change. When combined with bioenergy technologies for power generation (known as BECCS – bioenergy with carbon capture and storage), CCS has the potential to generate ‘negative emissions’, removing CO2 from the atmosphere. The potential downside is that these technologies can be expensive, at least until scaled up. Some environmental groups are concerned that these technologies will be used as an excuse for climate change inaction, or to allow companies to continue to burn fossil fuels. However, the IPCC report published this week is clear that we may not be able to limit warming to 1.5C without removing carbon dioxide from the atmosphere, and that means CCS. We certainly cannot afford to close it off as an option. "We think it is very likely to play an important part in the overall effort to decarbonising the economy at the lowest cost. Lots of international studies, as well as our own studies and scientific work here, show that CCUS is likely to be a key part of the overall solution." "This is much more about innovation. We are not, at this stage, talking about actual deployment of a live, fully functioning, fully scaled CCS project." In other words, little actual action to create the scale we need to meet climate change targets. There is a small stick involved in energy generation - by 2025 the government will phase out coal burnt in power plants not fitted with CCS. The Scottish government is supportive of CCS in its energy strategy, but it isn't in a position to fund a full scale project. It is to fund a feasibility study - the Acorn Project aims to create a CCS project at St Fergus in Aberdeenshire. It is also supportive of developing Hydrogen, primarily as a replacement for gas used in heat, plus some transport options. Hydrogen gas at scale will, at least initially, require natural gas (methane) as the source feedstock and as such in order to be low carbon, CCS will be a necessary system requirement. It seems clear to me that CCS remains an essential component of any climate change strategy. Scotland is well placed to take a lead, but this has to be on a much larger scale than is currently envisaged. A collective international effort is also needed to speed up research, development and deployment of CCS. The U.K. Government has a key role to play, but it appears only to be interested in tinkering around the edges. The failed energy market will simply not deliver on the scale required. So, it is time for a planned energy strategy, with public ownership at its core, that can take the necessary action. Before we get too carried away there are a few challenges. A Westminster parliamentary group recently reported that people who have smart meters installed are expected to save an average of £11 annually on their energy bills, much less than originally hoped. As many of us warned, the piecemeal rollout has been hit by repeated delays and cost increases, with suppliers now almost certain to miss the 2020 deadline. I have a none too smart meter that doesn't work because I switched supplier - and I am not alone. Squabbling in the renewable industry won't help to drive a coherent government strategy either. Iberdrola, who own ScottishPower, has voiced its frustration at the UK Government blocking onshore windfarms from competing for renewables subsidies and have attacked technologies like tidal lagoons as, 'Moonshot green technologies'. The company behind the proposed Swansea scheme responded by saying; “Having once bemoaned the incumbency of fossil fuels, it’s disappointing that some in the renewables sector have adopted this bad habit” - ouch! Offshore wind clearly has significant potential and is a proven technology. Plans to lease the seabed to encourage a new generation of offshore wind farms in Scotland's waters have been published by Crown Estate Scotland. This has the advantage of putting the leasing income into the public purse, rather than big landowners. This is where Scottish and National Investment banks have a role to play as well as direct public finance. The public policy question is why should we use public money to 'nudge' big power companies, when a public sector operator could do the same job, within a planned energy strategy?